Google™ Street View refers to panoramic 360° images taken by a special camera mounted on various types of vehicles. These images are view-able via Google Maps™, Google Earth™ and custom applications and websites developed using the Google™ Street View Image API. 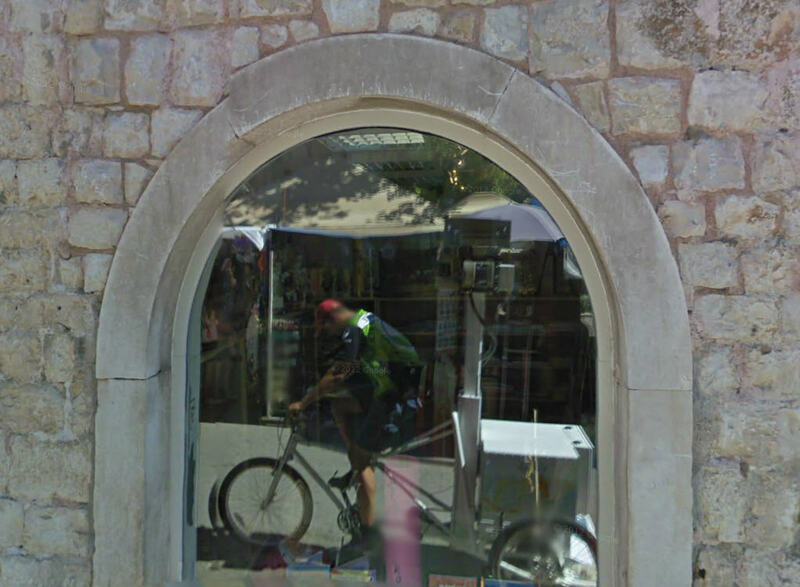 Google Street View started capturing images a way back in 2007. Since then, Google™ Street View has captured images from over 56 countries and hundreds of attractions ranging from walking trails to theme parks, museums to zoos, and everything in between. In fact, Google™ Street View’s can now be seen for many business interiors. There are many different vehicles outfitted with Google™ Street View cameras including cars, snowmobiles, scuba gear, tricycles, and trains. Google™ also provides an Android app allowing users to take and publish their own panoramic images. 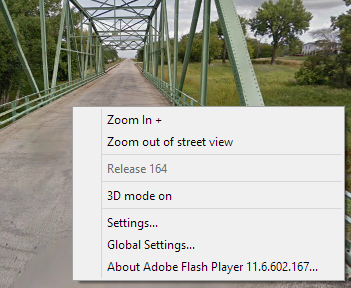 One little known feature of Google’s street view images, is that they are also view-able in 3d. Simply right click anywhere on the street view image, and, check 3d mode on. Of course you will need 3d glasses (red/cyan) to actually make sense of the images. However, the real power of Google™ Street View lies not in the images you see, but in other data captured by the Google™ Street View vehicles. Firstly, the vehicles are equipped with high grade GPS units, allowing Google™ to very accurately make maps of all the places the vehicles have traveled. This is extremely useful as many places did not have digital maps before the Google™ Street View vehicle rolled into town. These maps in turn provide us with the ability to use other awesome Google™ features such as turn by turn navigation, and, driving/walking directions. Secondly, the Google™ Street View vehicles capture data which most people are not familiar with. This data is known as LIDAR (LI ght D etection A nd R anging). LIDAR data is very interesting data as the uses of LIDAR are varied. LIDAR is an optical technology that can measure the distance to, and color value of features by illuminating the target with laser light and analyzing the backscattered light. OK, that’s a mouthful. Basically, LIDAR allows Google™ engineers to be able to completely recreate a 3d model of whatever the camera passed by. This can be very useful for measuring the size and distance of features captured by the device. However, Google™ may be alternate plans for this LIDAR data. Perhaps to create a complete 3d virtual world for use in gaming, advertising, or who knows what. One of the most controversial data sets captured by Google™ Street View devices was WiFi Mac Addresses. Back in 2010, a discovery was made that by accident Google™ had been collecting your WiFi network information. “The data which we collect is used to improve Google’s™ location based services, as well as services provided by the Google Geo Location API,” the company said in its April blog post discussing the practice. Apparently this practice has been discontinued. Google™ definitely felt their feet warming in the pot when this discovery was made and broadcasted to the world. Google™ has also experienced much bad press with regards to the notion of Google™ street view as an “invader of privacy.” Not sure what is more of an invasion of privacy, getting caught by the cameras of a tourist or media agency and being posted on Facebook, or, getting your blurred face displayed for the world to see in Google™ Street View. You decide on that one…Privacy Update! Google will be fined $7 million as part of a privacy settlement regarding its Street View car fleet’s collection of passwords, messages and other sensitive data from unsecured Wi-Fi networks as it rolled past homes and businesses from 2008 through mid-2010. Crazy! Google™ Street View World endeavors to capture some of the more “interesting”, funny, and crazy situations passed by via the Google™ Street View project.